After a comfortable bus ride along the North Coast we reach the port of Souda (after Malta the largest natural port in Europe). Leaving the port we start our fantastic cruise and make first a short photo-stop (from the boat) at the Commonwealth War Cemetery. Sailing east we enjoy an amazing view to the village of Kalyves, to the old Turkish fortress “Itsedin” and especially to the famous White Mountains (sometimes even in high-summer still covered by snow) and reach our first destination, the little bay of Almirida, where we stay for a nice refreshing swimming. It follows a very interesting visit (by the boat) at the colourful Drapanon Cave (if weather conditions allow us) and then, sailing west, completely crossing the Bay of Souda, we reach the picturesque fishing port and the beautiful sandy beach of Marathi. Marathi is especially popular by the local people and is regarded as one of the best organized and the clearest beaches on the whole North Coast. There we have enough time for an enjoyable swimming in the crystal clear waters, for sunbathing under the tropical sun, relaxing and for a traditional lunch at one of the local taverns. 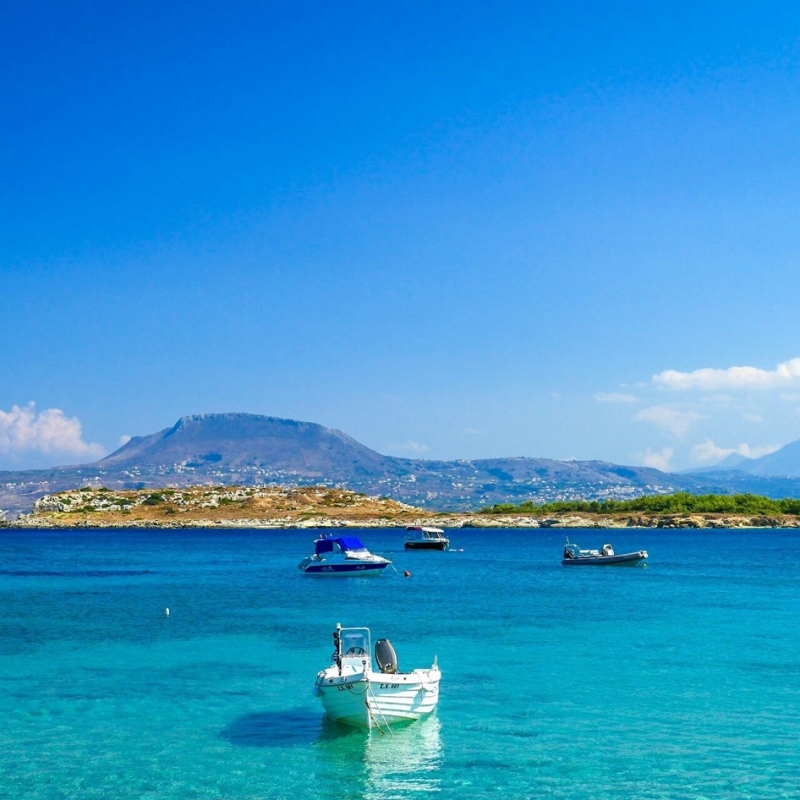 Leaving Marathi we sail along the east coast of Acrotiri peninsula, first besides the charming and very lucrative little bay of Loutraki and then around the historic Souda Islands, listening the interesting story of its legendary Venetian fortress. Full of fantastic impressions and unforgettable memories we reach the port of Souda again, take our coach and drive back home.